Additional wood preserver treatment applied and allowed to dry. 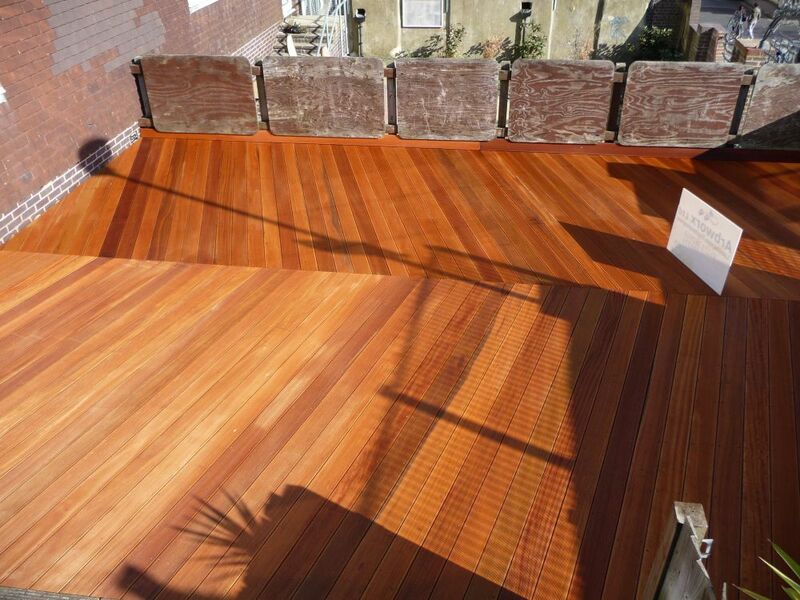 This also stained the timber a darker colour so it could not be so easily seen beneath the top dress deck boards. Now the joist work is laid out and set with a slight fall to allow water to run off and dry out the timbers after periods of rain. 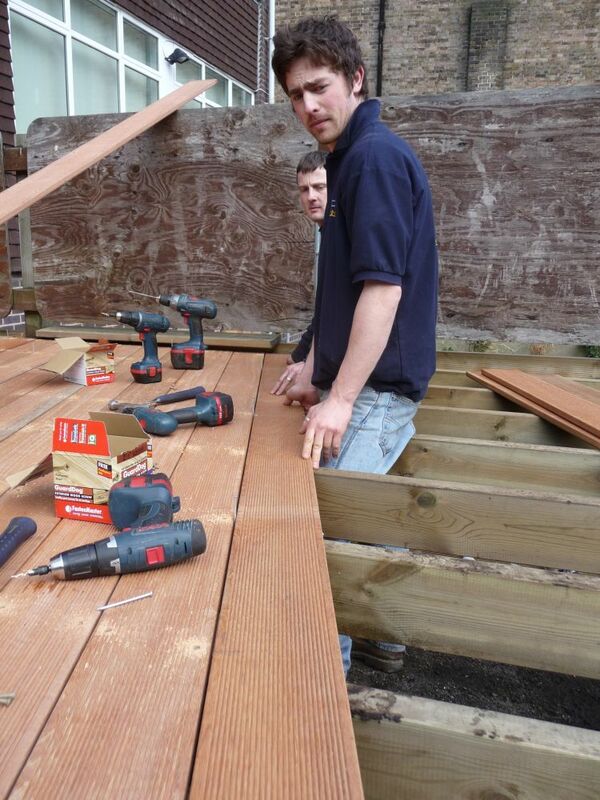 The deck boards are now laid out and screwed to the joist work using special deck screws. 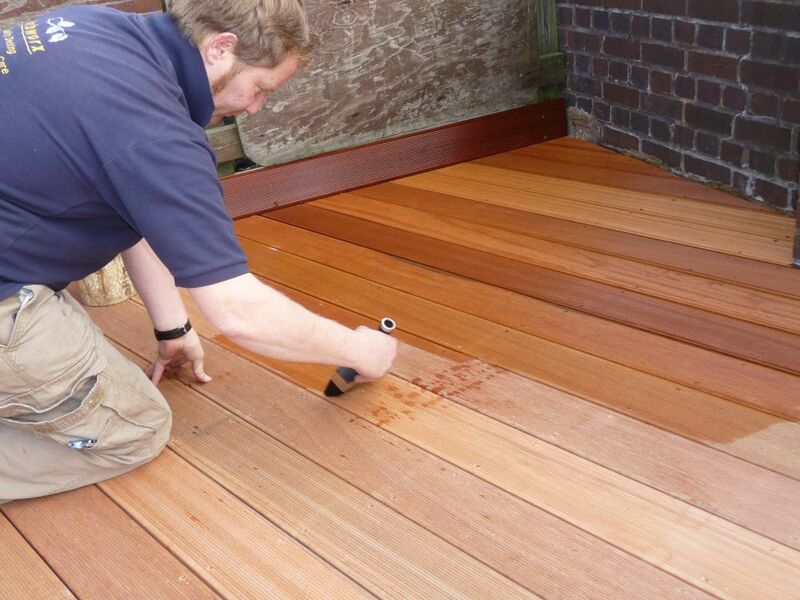 Applying the deck oil to preserve the life and colour of the hardwood. 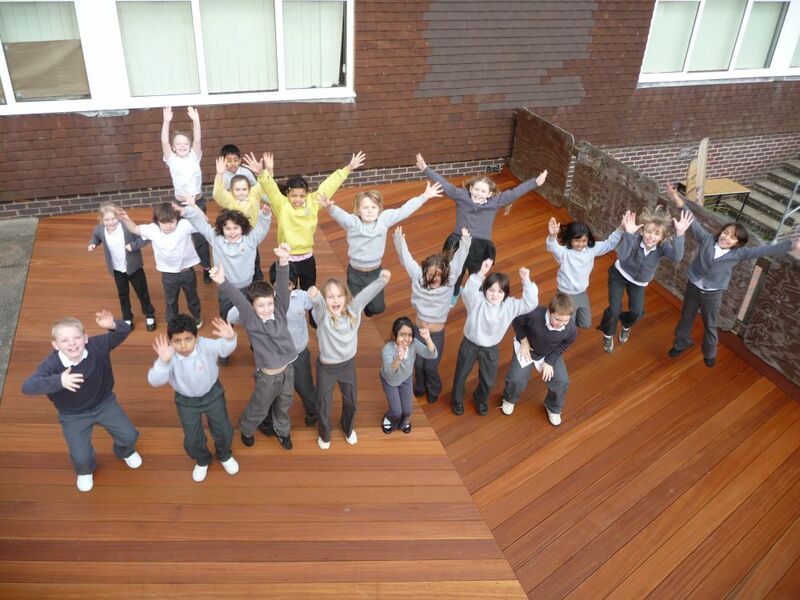 I think the kids were happy with their new playground. So were we! It was a pleasure to carry out the work for such good clients.